I first came in contact with the enigmatic olm when I was in grade school. I really don’t recall how or why, only that it sparked a lifelong fascination with the strange creature that wafts through cave waters like a ribbon dancing on imaginary currents. There’s an old folktale that claims olms are the tiny fragile offspring of dragons who live in the caves. Still, even with this rich and beautiful legacy within their native lands, olms were an unheard of critter in the States. I did reports on them and made models and my poor teacher had to search numerous libraries to find any mention of them, to verify their very existence. I was the sort of child who had the potential to make up a believable phantom creature for giggles, but this time sending my teacher on a wild goose chase was amusement enough. 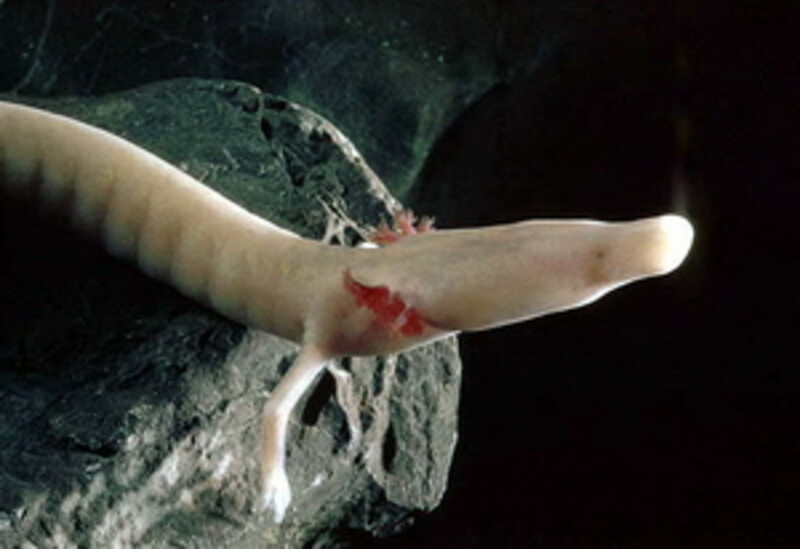 For years I begged my mother for a pet water dog, the United States’ far less whimsical answer to the olm. 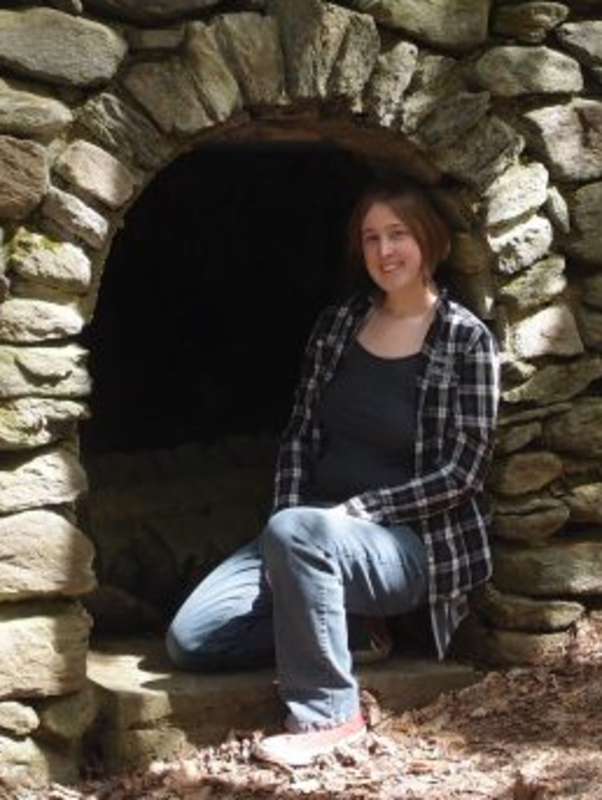 Perhaps she didn’t want some slimy critter capable of hurling itself out of its tank, or maybe the idea of a salamander that barks during breeding season wasn’t appealing. Either way I never got my water dog… and it’s just as well, they’re a sad substitute when compared with the strange serpentine beauty of the olm. Olms are an animal in evolutionary limbo. 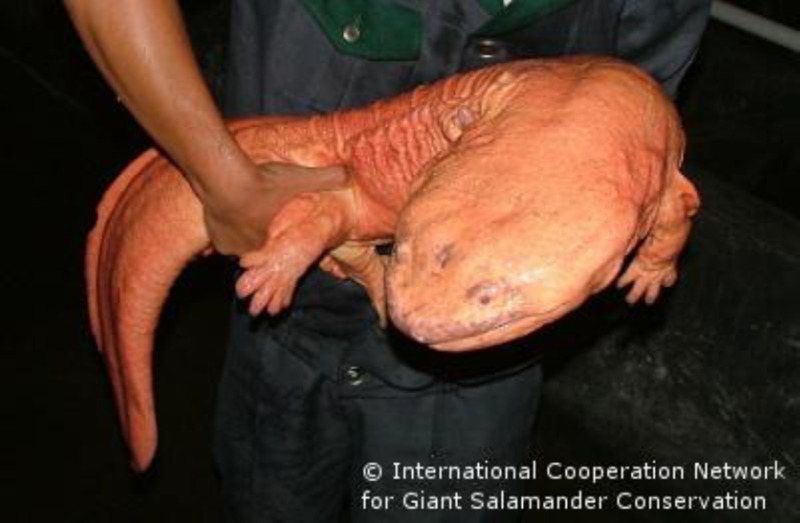 They were obviously once salamanders that lived on the surface of the earth but now live exclusively in caves. In the generations since those fateful first cave dwelling days their skin has turned a translucent white, the color of certain pallid peoples, and the reason why they’re sometimes called “human fish.” They’re not fish though, they are amphibians, who are evolving to be more dependant on water then their land dwelling cousins. They still have lungs but they’re underdeveloped compared to other amphibians, instead they rely on external gills that fan out like red feathers from their head. The red is caused by their blood being seen through that translucent skin. They grew more serpentine in body shape then the normal run of the mill salamander, sometimes growing up to sixteen inches in length, although a good twelve inches is more common. This makes them the largest living cave vertebrate in the world and the only one living in Europe. Their tail has a flattened fin-like appearance that allows them to glide with ease through the water. In a world of near complete darkness they grew skin over their eyes so thick that it restricts their vision to a mere light detection system. Their front feet have three toes instead of four and their back feet have a paltry two toes instead of five. When brought to the surface and into the light their skin can turn pink or darken. They are strange animals indeed. 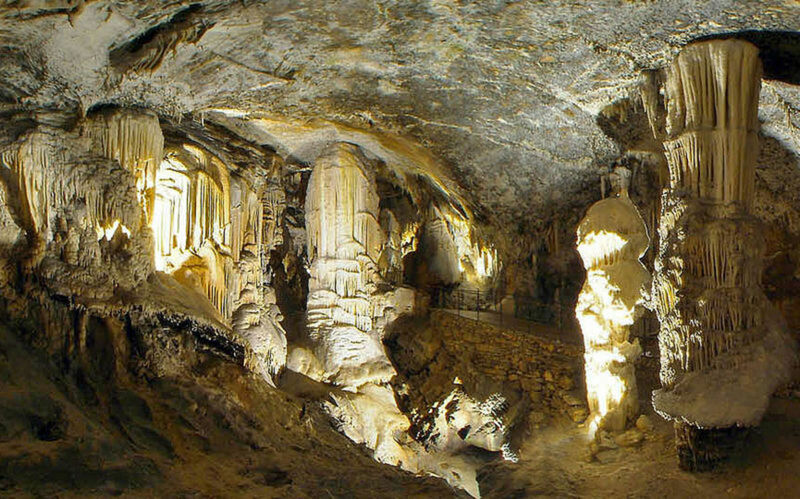 Part of the Postojna Cave which olms helped make famous. Olms live in the southern regions of Europe, pieces of Italy along the Dinaric Karst through to Herzegovina and several places in between. They live exclusively within the cave systems of these regions and are rarely seen by humans because of this, who traditionally only saw them when heavy rains flush them out of the caves and onto the fields of local farmers. They were thought to be the inspiration of ancient Venetian sculptures of winged snakes (perhaps the gills were once thought to be wings.) 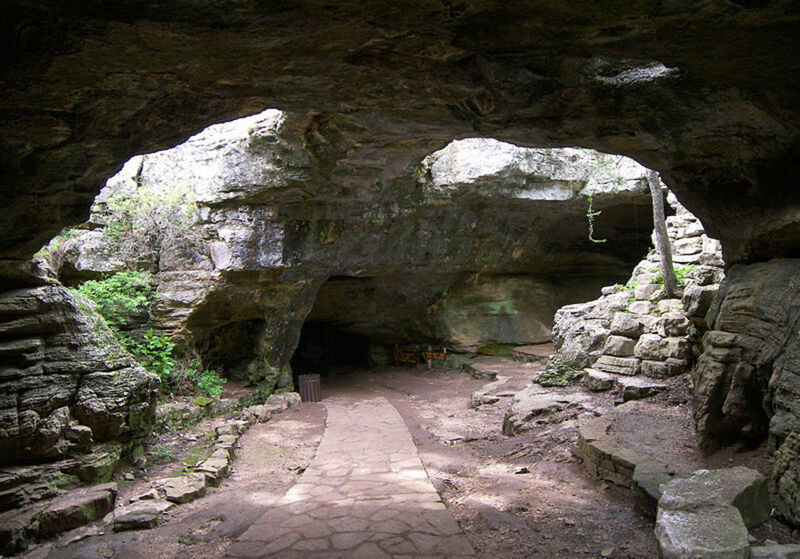 The caves in which they live are pitch black at all times due to no sun reaching into their depths. The water that filters into these caves is fresh water seeping down from the lands above. They live in calm well oxygenated pools of water. Females and adolescents live communally, gathered around rocks and crevices in the water. Mature males establish their own territories which they defend against other males, usually with threatening displays. Females only maintain solitary territories when laying eggs. It is thought that they get around by using the earth’s magnetic field as a map. Exposed to sunlight olms turn pink. Olms are perhaps the world’s most successful anorexics. When food is plentiful they can gorge themselves and store nutrients in their liver to use later on in times of need. In fact they are so good at surviving in the absence of food that they have been recorded living for ten years without any food whatsoever before succumbing to starvation. In fact they can also grow without food, for up to six years! They are survivors to the extreme. When they do eat their prey consists of insect larvae, mollusks, and the odd adult insect which might find itself lost in the caves. They find these delectable little morsels through a heightened sense of hearing, taste (with some taste buds growing on the entrance of their gill cavities) and by sensing the small electric fields other living things put off. Their flattened heads, reminiscent of the adolescent phase of other salamanders, allow for more of these specialized sensory organs to be packed in. Olms start life inside an egg, laid in the rock crevices of the caves. The eggs hatch anywhere between 86-182 days depending on the temperature of the water. The warmer the water is the quicker the eggs develop. The baby olms look much like their adult counterparts. From here they will take the next fourteen years of their life growing to sexual maturity, keeping much of their adolescent traits such as gills, which normally are not seen in adult salamander specimens. Upon sexual maturity females will search out a male and begin a fairly eloquent courtship ritual. The pair will dance around each taking turns nudging each other with their snouts. After this the male will take a position a few inches ahead of the female and release a spermatophore which she’ll pick up to fertilize her eggs. This ritual may repeat several times within a few hours. The female will then go off to find her own egg laying territory. Two to three days after her encounter with the male she will lay several eggs in the crevices of the rocks and will do this again for up to twenty-five days. Seventy eggs are generally laid in this period. There are rumors that olms may be masters of vivipary. That is they may be able to produce fully developed living young and give birth rather than lay eggs. 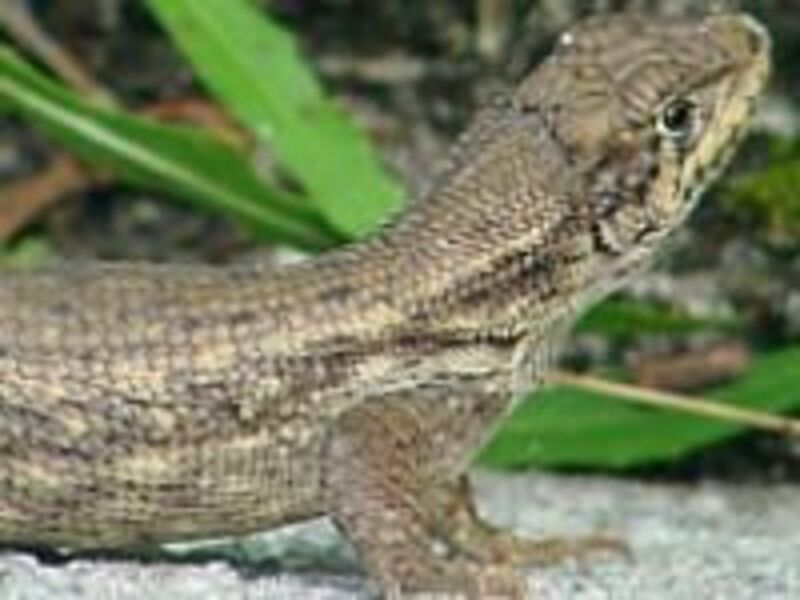 This has been seen in various amphibians and reptiles, sometimes when no males are present (in which case the animals are virtual clones of their mother.) More research needs to be done to see if this is really possible. Olms are thought to live about fifty-eight years in the wild but have been recorded to live in captivity (in laboratories) for up to seventy years. 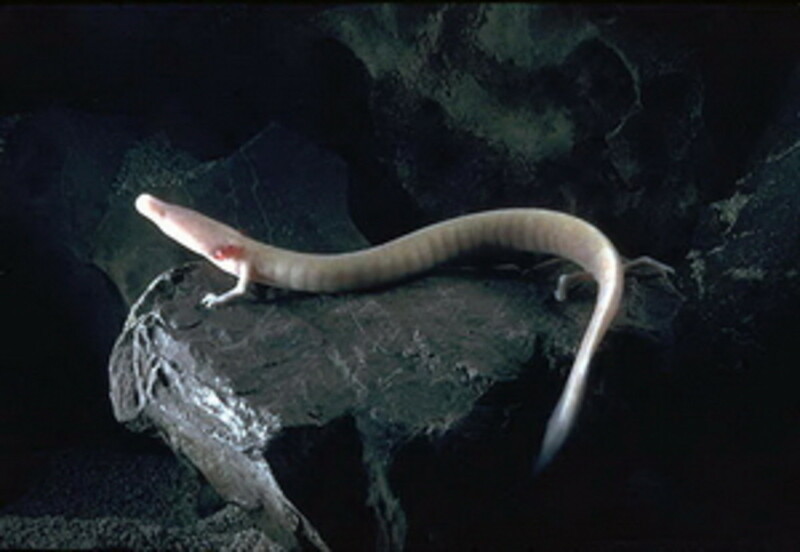 In 1984 researchers at the Slovenian Karst Research Institute caused a stir in the herpetology community with the discovery of the black olm. 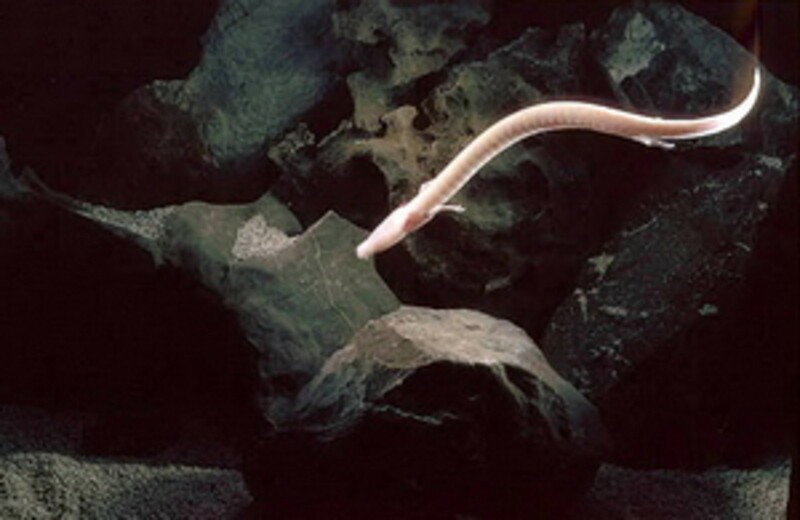 They were found in the underground waters of Crnomelj, Slovenia in an area that only stretches about thirty nine miles. Besides being black this newly discovered subspecies was thicker in body structure and more energetic in their movements. They also had fully developed eyes and less developed non-visionary senses. Eight living specimens were immediately collected to start a domestic community where they could be bred in captivity. Only several more wild specimens were ever caught for this reason and as of now they remain even more mysterious then the white olms. Sketch for scientific paper drawn in the 1700's. 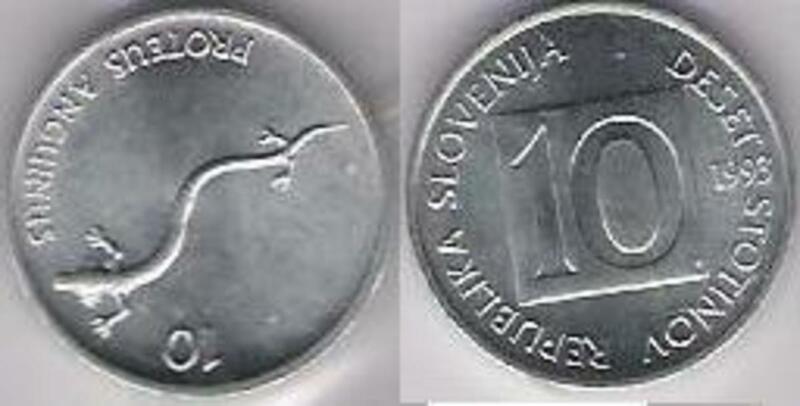 Obsolete Slovenian tolar depicting an olm. 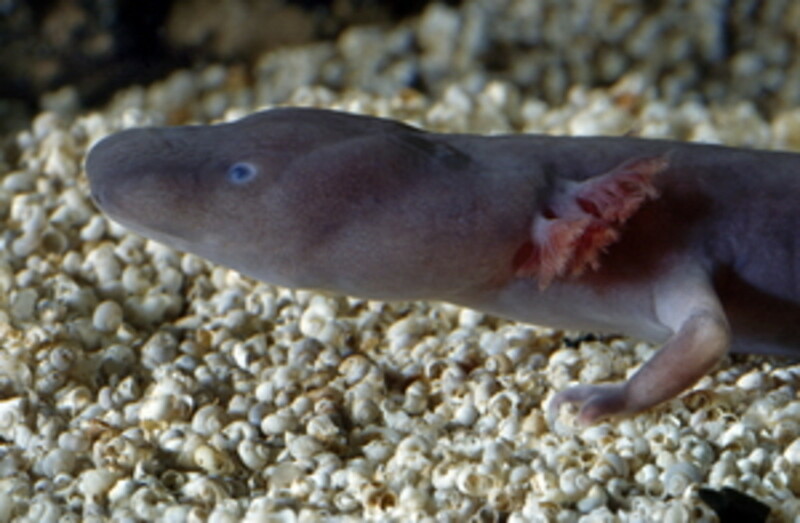 Olms are now a severely threatened species for a number of reasons. First of all they were such a unique species that the scientific community of the past three hundred years were absolutely enamored with them. This led to collection. Olms were captured and pickled or sent off alive to various collectors. They became famous. Some pig farmers in the region were rumored to have collected them to use as cheap pig food. However even with all this olms mostly live in very deep in caves, many of which humans haven’t explored. Currently their worst threat is probably contamination of their environment. 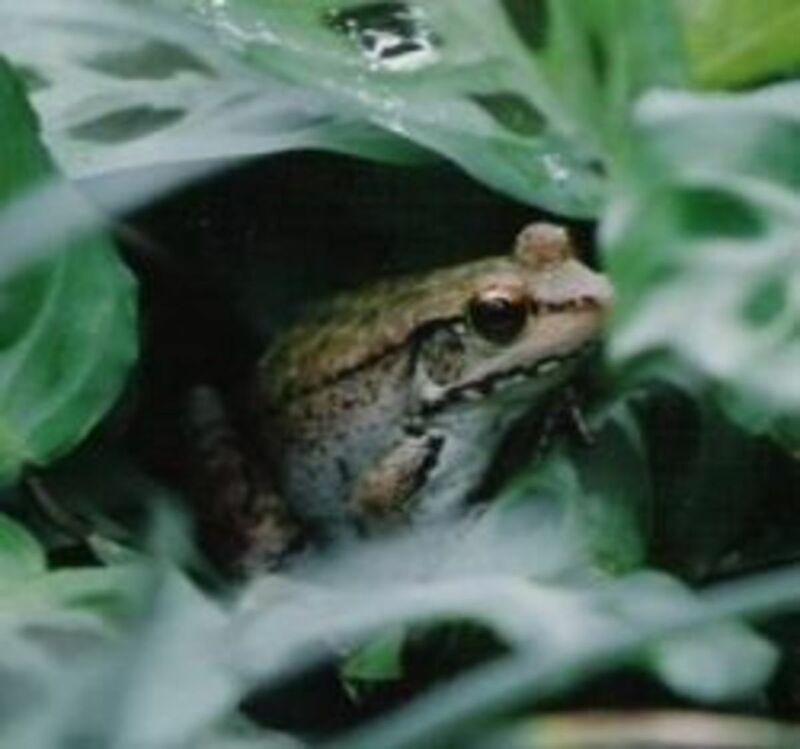 Being amphibians they are very sensitive to changes in their habitat. Run off water can contain pesticides from crops, waste from farms and homes, and even dangerous chemicals. Many of the regions which they live had been troubled by chronic wars and unrest. Tourism has been used to aid in the preservation of the species (making them cash cows to the local community and helping raise awareness) but the darker side of tourism and the collection of these very special creatures for the pet trade has all taken it’s toll. It’s not all lost as of yet. Several domestic communities of olms have been producing viable offspring since the 1950’s. Whether or not this will be enough to save them from extinction remains to be known. They are however mascots to the local people and can be seen on a variety of things including old Slovenian coins. It’d be a shame if these baby dragons slip into the realm of myth, leaving behind only fading memories. Starfish: What is it that Makes them so Creepy? Yes, olms have been in trouble for many years now.... sadly living underneath a war-torn environment hasn't done them any favors. I hope they are one of the species we are able to keep going in the long run but we'll see. I remember seeing something about them long ago. I don't know if they mentioned the tale of them being dragon babies. I like dragons so I would think I'd remember that. Sad to read about them being collected and now a threatened species due to the collection and the environment. 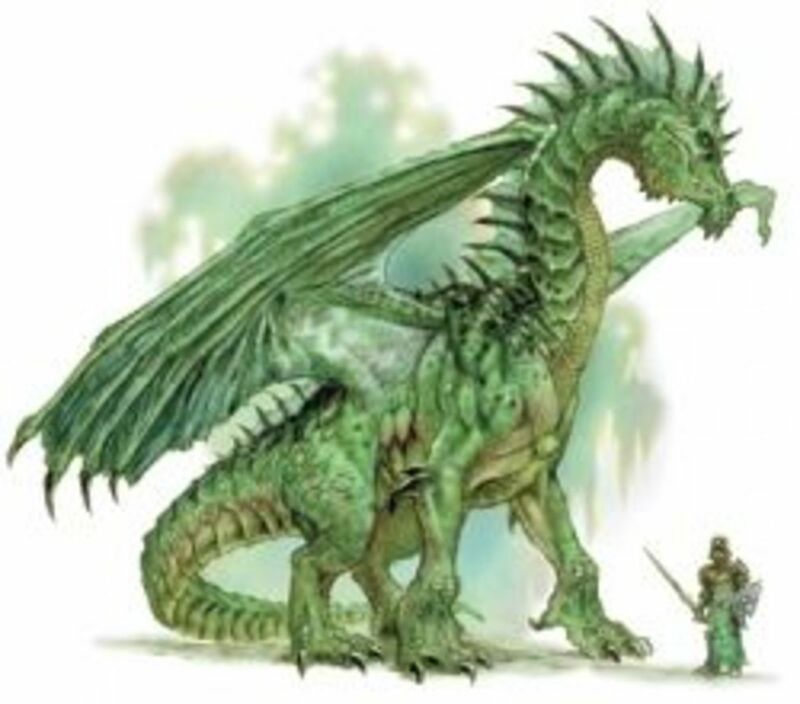 Master Bob Darely, I did not claim anywhere in this article that olms are actually baby dragons, only that they were likened to them in *local mythologies*. There is no hoax here. 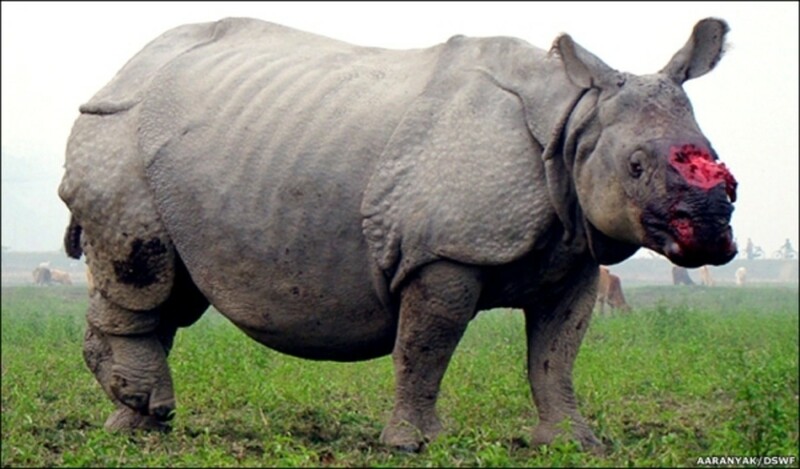 These are very real creatures who are in very real danger of becoming extinct someday soon. A fascinating hub about a fascinating creature! I love amphibians! Just watched a tv programme about these and led me to dig around online to find more out. 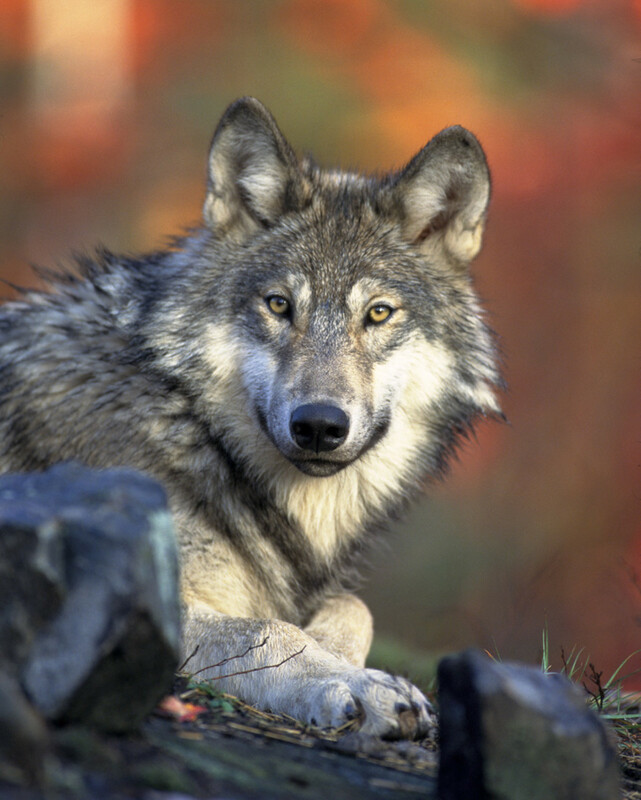 These are fantastic creatures, such a massive shame they are now threatened!!! How interesting. And to think it can grow for six years with no food. Pretty unbelievable. I just finished watching some on the Planet Earth series, and this reminded me of the creatures seen in the cave section. Thanks for showing us how marvelous earth's creatures are.